KLE is launching a COMMUNITY RADIO STATION (FM) at the KLE University campus. This non-commercial FM Radio Station will provide a platform for the expression of the talents of local artists, for discussion on local issues & for showcasing the history & culture of this region. There will also be programs on health care, education & other issues. 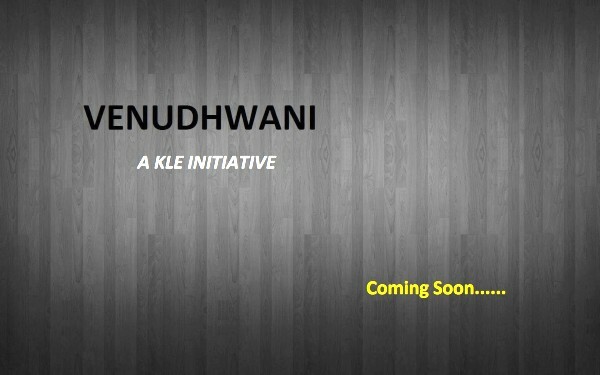 The KLE FM Radio Station “VENUDHWANI” seeks to train & recruit “Radio Program Developers”. A 15 day free training program will be conducted in the last week of March 2014, at the KLE University Campus to train 20 prospective recruits. After completion of the training program, all trainees would receive certificates “4” individuals would be recruited for the Radio Station. Applicants for the training program should be under graduates/ graduates (Preferably localities) & have a command over local languages – Kannada & Marathi & basic knowledge of computers. The application form is available on www.kleuniversity.edu.in (Training Program for Community Radio “Venudhwani”- Notification). KLE also invites individuals from various walks of life and various domains of expertise to contribute programs for the Community Radio Station. The programs could be recorded at our studio at the KLE University campus. Local artists wishing to share pre-recorded content are also welcome.